It's spring! Time to think about pretty weather and fun spring units! 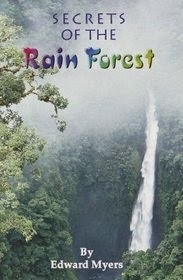 One unit that lends itself to so many great reading strategies is The Rain Forest. Who doesn't love to read about warm, sunny places with tons of interesting plants and animals?! You can go SO many different directions with this topic! I know one of the most popular activities is for the students to do animal research papers. Since our second graders did animal research projects last year, I really wanted to spice things up and go a different route this year. My students and I had been having fun with Point of View in fiction (which I will talk about in another blog), but we hadn't really talked much about it in a non-fiction context. I was a little nervous because to teach Point of View in non-fiction, since I would have to find a somewhat "controversial" topic... insert visions of phone calls from upset parents... so, what to do for a toned-down, high-interest topic. Enter, The Rain Forest. Now, I know what you're thinking. What two sides can you actually take with the rain forest: don't cut it down and cut it down? No, actually, when I taught World Geography in high school and studied the rain forest in more depth, I learned that there are MANY voices in the rain forest debate. It's much more multi-faceted than young students are led to believe. So, I decided to experiment and see if my third graders would be able to see other points of view related to the rain forest issue, besides the obvious one. In the meantime, we would practice our non-fiction reading strategies, present what we learned, and become informed on this important topic. We started with a trusty KWL chart. You'd be surprised at how much kids already know about rain forests! After activating our prior knowledge, we read a short chapter book that introduced the students to the basics of rain forests. This way I knew we were all on the same page. I had already taught the basic non-fiction reading strategies (graphic/text features, text structure, main idea/details, etc. ), so reading the chapter book together gave everyone a chance to practice these strategies in context. 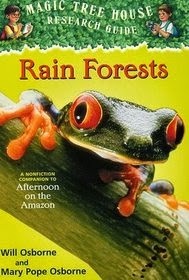 We read Secrets of the Rain Forest, by Edward Myers, which is part of our Good Habits Great Readers series. Click the picture to be taken to more information about this book. Of course, this not the only book good for this purpose. I just ordered a class set of the Magic Tree House non-fiction companion to Afternoon on the Amazon called Rain Forests. Its a GREAT book that would accomplish the same purpose. 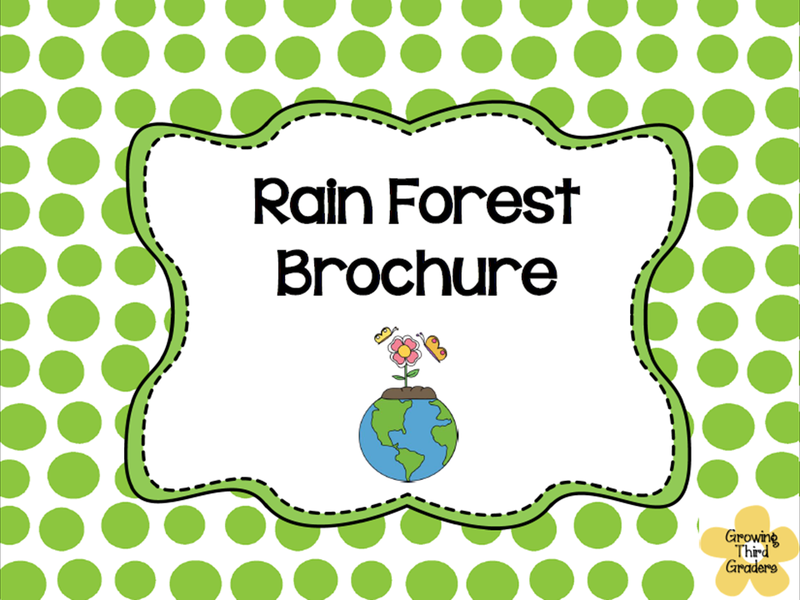 After reading the chapter book, I had students summarize their learning in a Rain Forest Brochure that you can get from my TpT store. These were great to show off at Parent Teacher Conference! Click above to go to my TpT store. At the end of the unit, we wrote an Opinion Paper on OUR point of view on deforestation using information from the posters and the books we read. I'm happy to report I still have a class full of aspiring tree-huggers, but now I think they own their opinion. They understand why they believe what they believe and appreciate the complexity of our world's problems a little more than they did when we started. Mission accomplished! Let me know if you try this activity with your students. I'd love to hear how your kiddos responded!